When you walk into Pentamere, the first thing you will probably notice is that half the floor is missing. 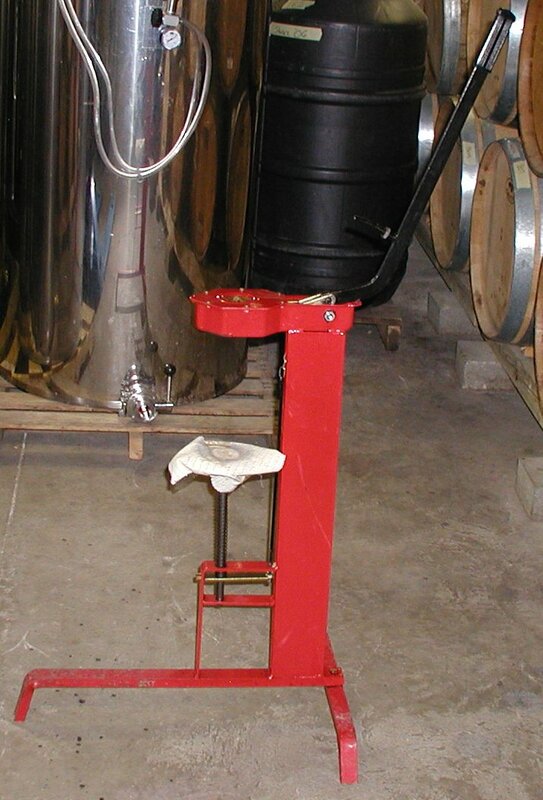 This allows us to readily dispose of self-styled wine critics…uh, it allows for the large, high tanks used to ferment the wine. The biggest tank, easily visible in the far corner of the hole, is 3000 liters, which is about 800 gallons. (“Do you want that to go, or will you drink it here?”). There are also several 1500-liter tanks. 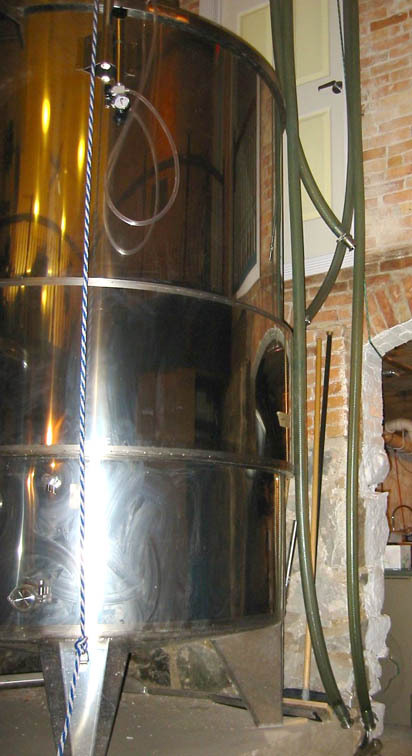 All the tanks were imported from Italy, where they know a bit about making wine. 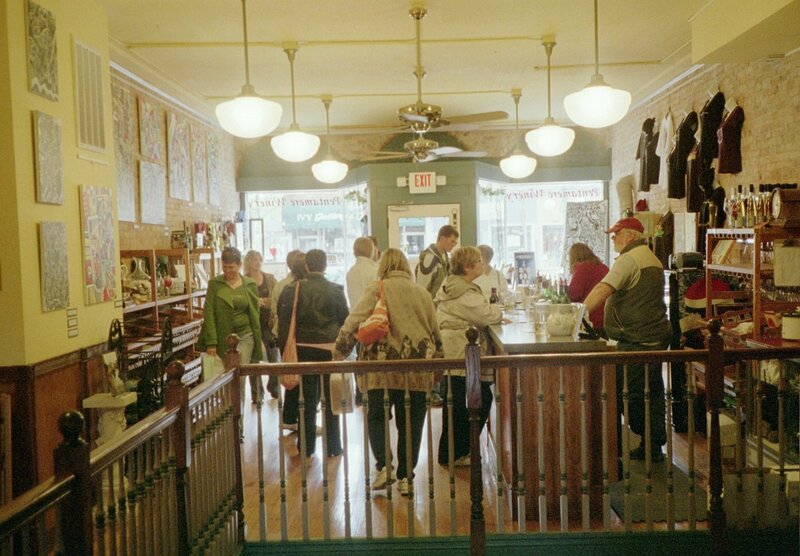 The building is over a hundred years old, It has been many things in the past, most recently a greasy-spoon restaurant, with ancient tile floors and wallpaper that had to be seen to be believed. Just removing the tile and plaster allowed the simple beauty of the original building to shine through (well, removing tile and plaster, cleaning wall, sanding floor, removing several decades of grease, building rails for the new hole in the floor, renovating the bathrooms…). 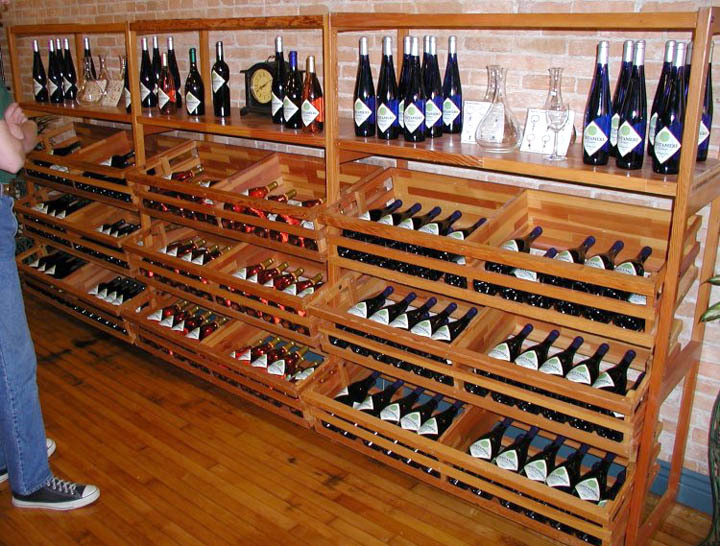 We're proud of what's been done upstairs, but the cellar is even more important. 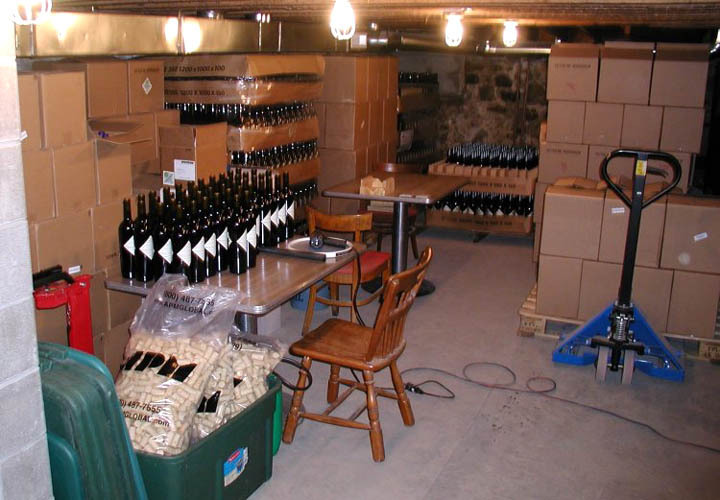 In order to have a winery, we need wine, and downstairs is where the wine is made and stored. 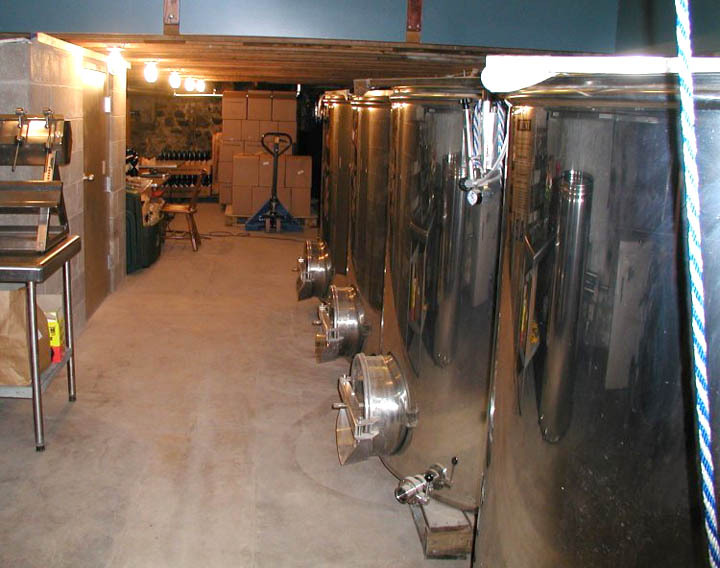 Our small fermentation tanks fill up a large part of the basement all by themselves. The wine wouldn't come out very well if we tried to ferment every type in one tank! 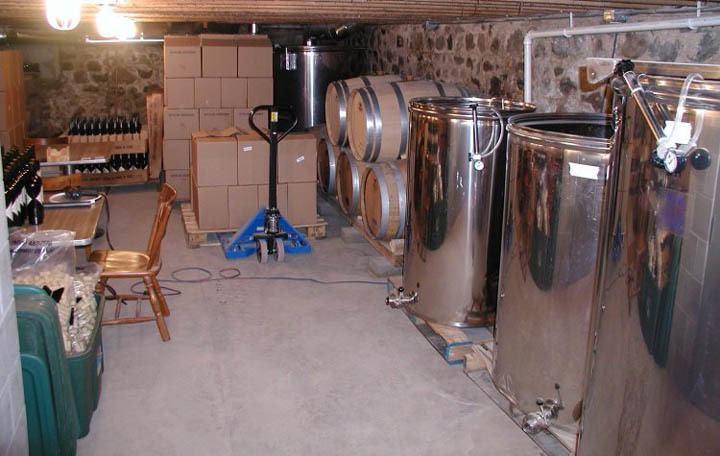 The empty tanks are said to actually be full of vintner's brains. The wooden barrels are for aging our “big reds” and our Chardonnay. You just can't have Chardonnay without genuine, Kentucky-made, oaken barrels (or so we're told). 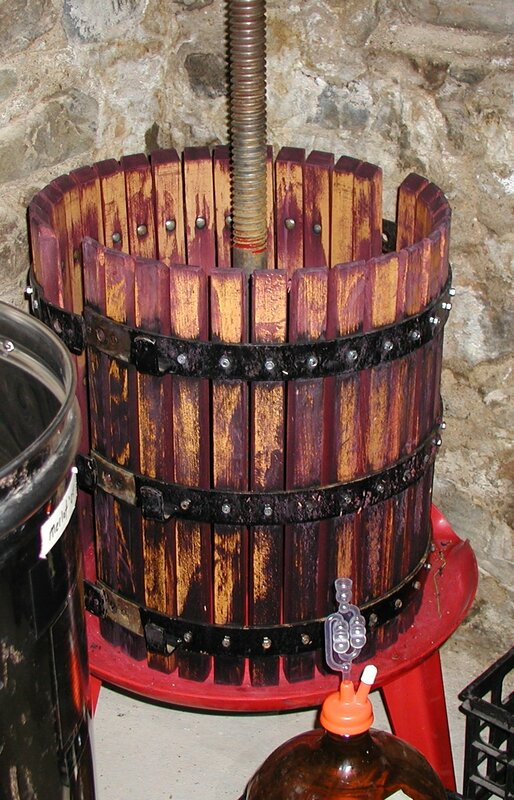 Our grape basket press, used for squeezing every drop of juice out of uncooperative grape skins, is, like the tanks, straight from Italy. It's the next step up from stomping the grapes with your feet. The open area under the hole is also used to bottle the wine. 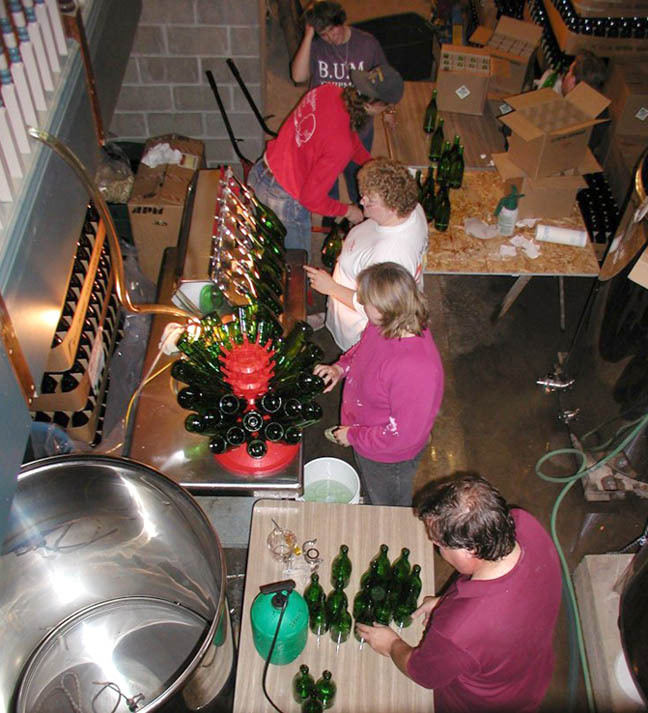 That big metal thing that looks a little like a buffet table fills the bottles—six at a time. Those red machines that look like, uh, strange red machines put the cork in the bottleneck. Another machine melts the plastic seal into place. All this is done by enthusiastic volunteer labor. We have found that cattle prods generate more enthusiasm than whips. 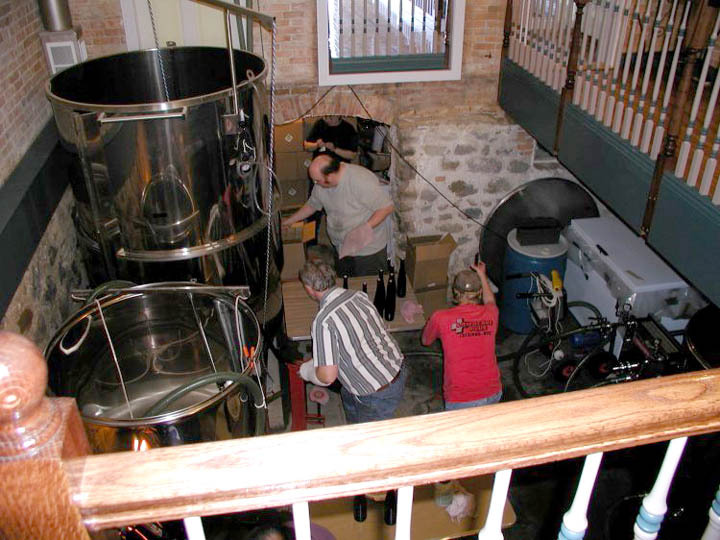 At the back of the cellar is the lab. 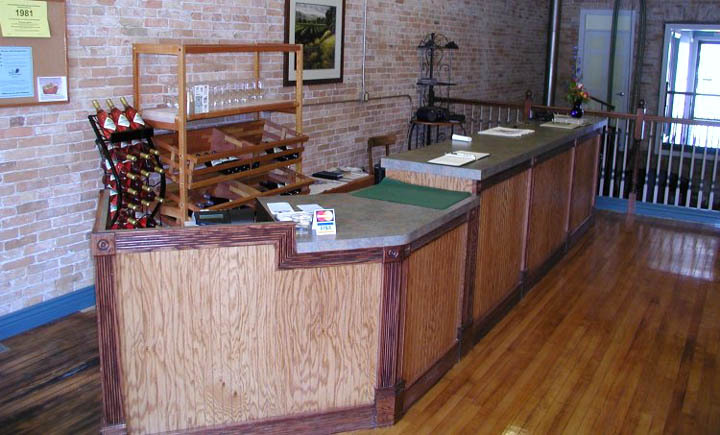 This is where the emerging wine is tested and re-tested for sugar, acidity, alcohol (believe it or not, there is alcohol in all our wines), sulfur, and all the other things that go into a great batch of wine. Of course, we test it in the more traditional way, too.